My previous column described the nuclear plant disaster in Japan and its possible effects on us here in California (“Radiation exposure worries dispelled,” March 25, Page 9). Now I’d like to explain about the effects of radiation on the human body. Radiation is defined as the process through which energy is emitted as particles or waves. There are two types of radiation. The first is non-ionizing radiation that is emitted by cell phones and microwaves. The effect to the human body of this form of energy is highly controversial and is under intense investigation. The second type (and the more potentially dangerous form) is called ionized radiation and is the energy emitted when certain atoms disintegrate, either naturally or by human action. This energy, associated with medical radiation and nuclear explosions and accidents, can be in the form of waves, such as x-rays, or of particles, such as alpha and beta particles. If not properly controlled, this radiation has the potential to have life-threatening effects on humans and all living organisms. It’s a fact that we live in radioactive world. Life has evolved in an environment of ionized radiation. We are exposed to radiation on a daily basis. It comes from space as cosmic rays and from soil, water and air. It’s in the bricks of our homes and even the food we eat. Radon gas coming up from the Earth’s surface is our greatest source of natural radiation. We are also exposed to manmade radiation in the form of diagnostic x-rays (especially CAT scans), radioactive medical treatments, nuclear weapons and nuclear power plant disasters. Exposure to radiation can take two forms: internal and external. Internal contamination occurs from breathing or swallowing radioactive material. External contamination occurs when a person is near external sources of radiation, such as x-rays, or when radioactive materials, such as dust, liquids or aerosols, become attached to one’s clothing or skin. 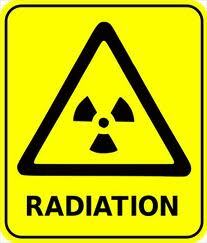 Any living tissue within the human body can be damaged by ionizing radiation. Once damaged by radiation, a cell could follow three paths: It could subsequently repair the damage and function normally; it might be unable to repair itself and subsequently die; or it might repair the damage in a way that causes it function abnormally. These abnormal cells may be unable to reproduce themselves, or they may reproduce at an uncontrolled rate, which is the cause of cancer. The amount and duration of radiation exposure determines the severity and type of damage to cells. A sudden, very high exposure to radiation, such as the victims of the nuclear bomb blasts in Japan experienced at the end of World War II, can cause what is referred to as radiation sickness. This causes severe changes in blood cells, nausea, vomiting, hair loss, fatigue, hemorrhages, damage to the nervous system and death. This is a proven direct correlation between heavy radiation exposure and health. We must assume that the risk of cancer and other poor health effects is directly proportional to the dose of the radiation exposure. It is more difficult, however, to fully measure the health effects of lower doses of radiation, because these effects might not cause any health problems at all or may cause a disease that shows up decades later. Although the risk of cancer after low doses of radiation might be very small, there is no dose, no matter how low, that is risk-free. The bottom line is that we all need to limit our exposure to radiation, some of which we can control. 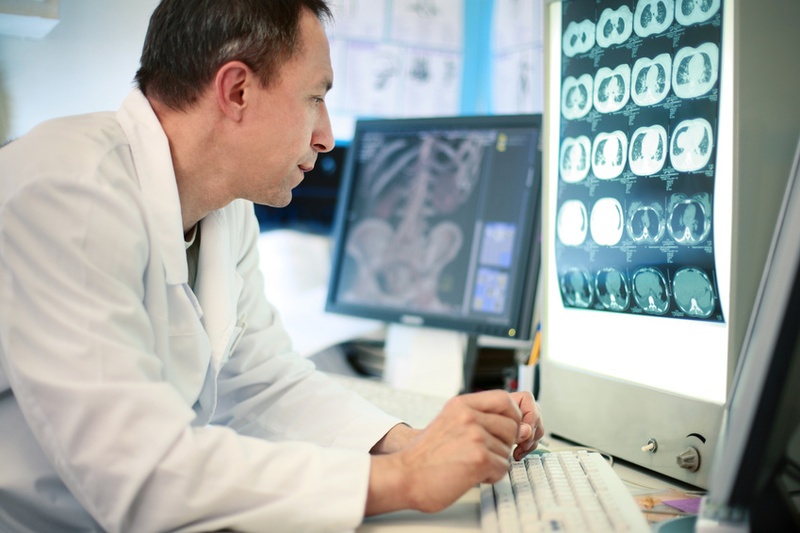 We can voice concerns to our doctors about exposure to medical radiation. We can test our homes for radon levels. The reality, though, is that much of our radiation exposure is not under our control. But, fortunately, current daily exposures have not proven to be especially harmful to us. Our biggest threat comes from manmade radiation in the form of nuclear accidents or nuclear weapons. The recent Japanese disaster has not yet and probably will not have an adverse effect on our health here in California; however, we must pay attention to up-to-date information from the experts who are monitoring the situation. There has been much hype about radiation danger since the recent tragic events in Japan. Right off the bat let me dispel several common fears. As of this writing there is absolutely no need for anyone on the west coast to take potassium iodide pills to prevent thyroid cancer. There has been no significant increase in the local levels of radioactive iodine here on the West Coast, and unless conditions at the Fukushima plant radically change, it is unlikely that we will receive dangerous levels here. Why are people talking about taking potassium iodide pills? Medical documentation of the health effects from exposure to atomic test fallout demonstrate that exposure to radioactive iodine played a key role in the development of thyroid cancer and some forms of leukemia as well. Potassium iodide, if taken before exposure to fallout, helped to block the uptake and reduced the chance of developing cancer. However, ingestion of potassium iodide also has its own adverse health risks. So it only makes sense to take this preventative measure if advised, that is if we know for sure that dangerous levels of fallout are headed our way. While winds do blow from Japan east to our shores, wind, rain, and time do take a toll on these toxic plumes, with only trace amounts reaching this coast. Given the current air quality, our locally grown food, especially milk, milk products, and fresh produce remain safe to consume. Again, radioactive levels on the coast have not changed significantly. Areas in northeast Japan are, so far, the only reported areas of concern. And in the event that Japan’s nuclear disaster does further deteriorate, most authorities agree that the worst case scenario for California would be increasing levels of radioactive compounds, but at extremely small levels that would cause us no harm. We, as a society, had greater radioactive exposure during nuclear bomb testing in the 1950-70s than we have now or might possibly expect under Japan’s worst case scenario. It is well demonstrated that too much radiation exposure can cause cancer many years later and that the young are at greatest risk. What is not known is how much or how long of an exposure to radiation is risky. Researchers can’t just count cancer cases after a disaster and draw any conclusions as to whether radiation was actually the cause. Cancer rates before and after a disastrous exposure must be compared to know if more cases occurred than would be expected, and even then conclusions are often controversial. Truth be told, we as a society should worry more about the toxic effects to our bodies from exposure to tobacco products, alcohol and illicit drug use, than we should worry about health risks from current radiation exposure. So what’s my health advice in these times of stress? Take the time to be informed, eat healthy, be active, and be happy. My next article will explain how radiation affects our health.